SPRING VALLEY CATERING is a DC-based fine food catering company. 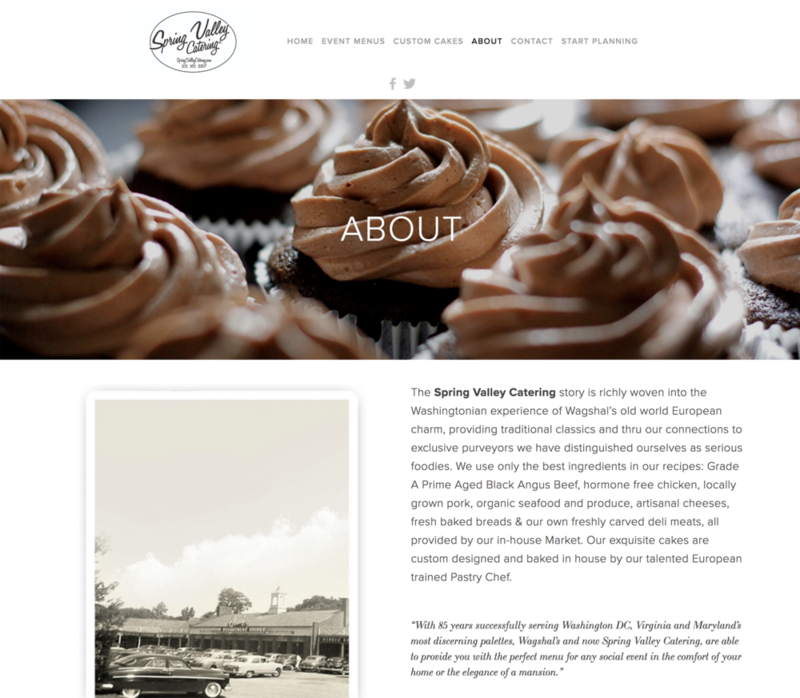 Spring Valley hired us to update their WEBSITE with a clean new look that is easy to navigate. We kept their classic traditional aesthetic while zoning in on delicious food at joyful gatherings. 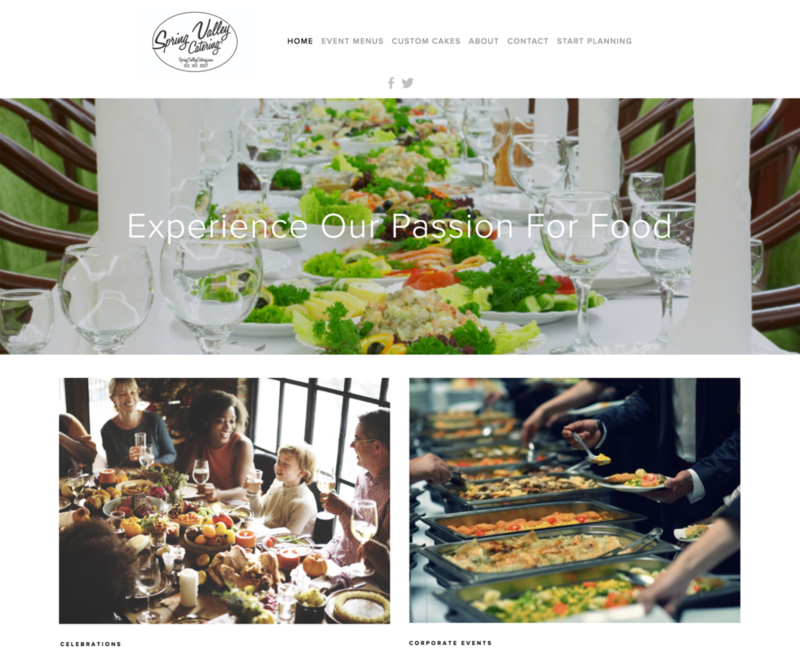 We continue to create a variety of large and small projects for Spring Valley Catering including PRINTED MATERIALS, EBLASTS, and ADVERTISING.